Gopher Volleyball: 2017 Jersey Reveal Video! Gopher Volleyball at 2018 B1G-Pac 12 Challenge! OFFICIAL 2014 Gopher Volleyball Intro Video! 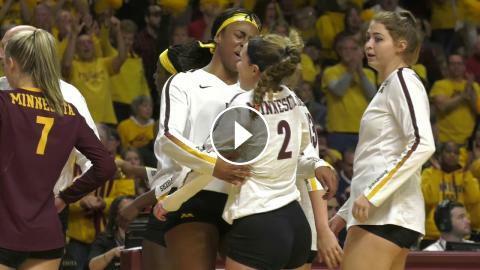 Gopher Volleyball: 2017 Season Is Almost Here! Gopher Men's Hockey: 2018-19 Season First Half Moments!